Monday, April 22, 1996: Carolyn and I arrive in Los Angeles for a few days of vacation leading up to the Nebula Awards ceremony. Went to NBC, but arrived too late to get tickets to The Tonight Show and so we drove around in our rental car, looking for somewhere to eat, and found a Sizzler. Across the room, I recognize a man whose photo I'd seen many times: Forrest J Ackerman, the great science-fiction fan, editor, agent, and collector. He was eating with some friends of his. 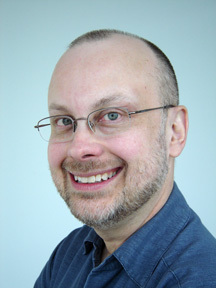 "Mr. Ackerman, you don't know me, but my name is Rob Sawyer, and I'm visiting from Toronto." "Yes, and, well, I'm here for the Nebula Awards banquet -- see, my novel The Terminal Experiment is one of the nominees this year, and --"
"Then you must come back to the house!" My heart almost stopped. "The house," I knew, was the famed Ackermansion: the giant, sprawling home that contained his amazing 300,000-piece collection of science-fiction books, magazines, and film and TV props, costumes, and memorabilia. When lunch was done, Forry took us to his place, and OMG, it was incredible. He gave us a two-hour private tour of his 18-room home, and it was unbelievable. The robot from Metropolis. A Cylon from the original Battlestar Galactica. One of the sets of makeup appliances worn by Kim Hunter as Zira in the original Planet of the Apes. Two different sizes of Martian war machines from George Pal's The War of the Worlds. And so much more. I remember Forry's wonderful kindness to a young writer he'd never met before. And I remember, all over his mansion, portraits of his deceased wife Wendayne, and how he spoke repeatedly about her with so much love. I'm not given to believing in such things, but I do sincerely hope they're together now. 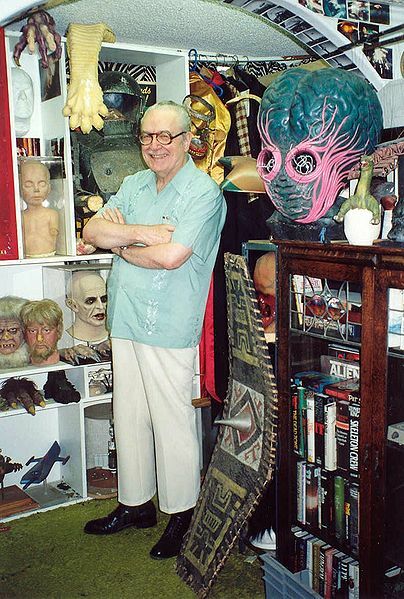 Forrest J Ackerman passed away yesterday at the age of 92.